New Hampshire waterways provide many benefits to users—from life sustaining drinking water to aesthetic and spiritual values. We asked New Hampshire residents about what cultural benefits (including recreational, aesthetic, spiritual, and other sometimes intangible benefits) they appreciate. 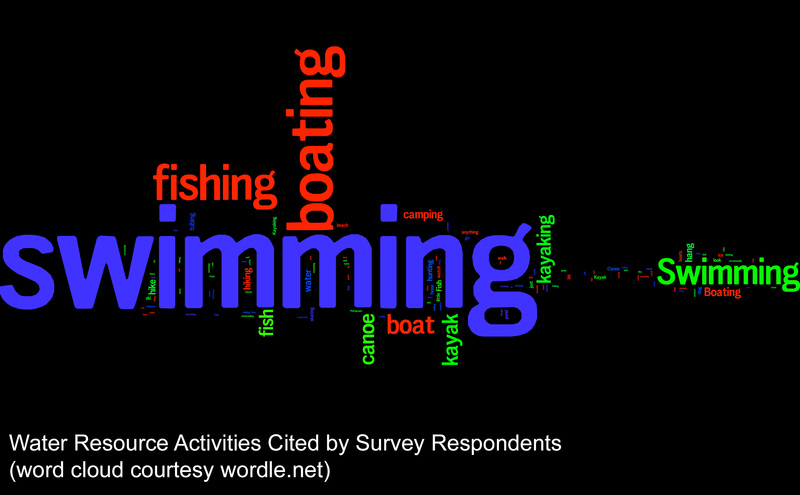 Specifically, we asked respondents to indicate what they and/or their family like to do in and around the state’s water bodies.The responses were extensive and included approximately 30 unique activities, with the most popular being swimming, boating, fishing, and kayaking. The NH & Piscataqua Region Water and Watersheds Survey was a telephone survey of randomly selected adults in the state of New Hampshire with an oversample of towns in New Hampshire and Maine that fall within the Great Bay Watershed. The survey was conducted in September 2013 but the planning for this survey has been underway for some time. The partnership between the Center for the Environment at PSU and the Piscataqua Region Estuaries Partnership (PREP) with assistance from the UNH Survey Center was responsible for the development and deployment of the survey, essentially a partnership between research and outreach interests. The data are being used for many purposes including context and background information on Watershed Ecosystem Services for the National Science Foundation supported statewide project “Ecosystems & Society”. Additionally, it is being used as a much needed baseline understanding from which social indicators will be developed to be monitored alongside PREP’s environmental indicators going forward. Overall, results indicate that there is a general awareness among New Hampshire and Piscataqua Region respondents of a connection between individual and community level actions and quality of water resources. A majority of respondents believe that high-quality water resources support the economic wellbeing of their community. The data in the report is vast and varied and can and should be utilized by a wide array of partners, including but not limited to researchers, resource managers, municipal decision makers, educators and outreach professionals and local, state and federal regulators. This survey is just the start of a much-needed investment in building a body of knowledge regarding the uses, values and behaviors of New Hampshire and Piscataqua Region residents in regards to water resources. We will be working on several initiatives, including outreach/education, indicators, and geographic visualization of select results. It is our hope that this survey will serve as a stepping-stone to further investigation and implementation of actions. 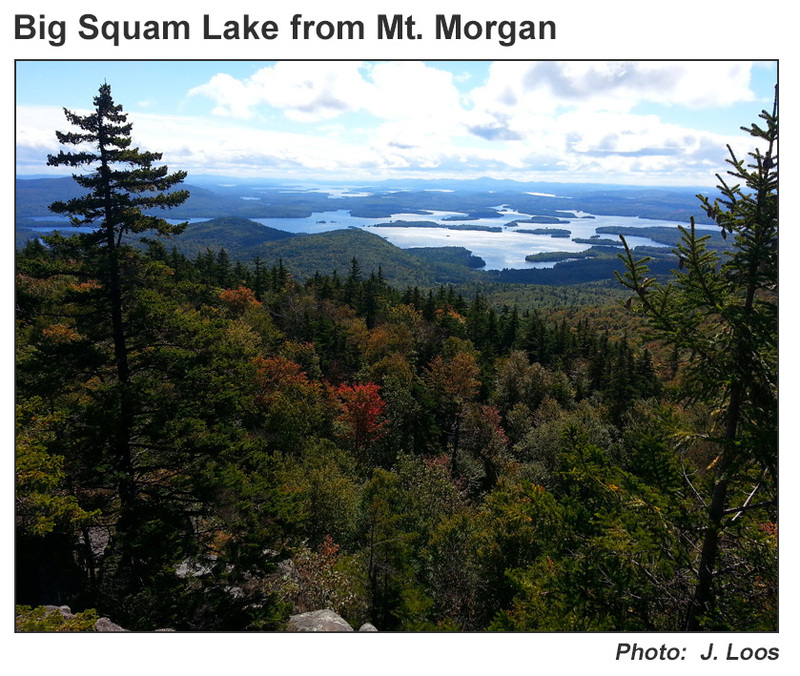 How do New Hampshire residents & visitors use and value various water related ecosystem services? What are the tradeoffs among watershed & terrestrial ecosystem services? How can non-economic ecosystem services be valued? How do various land use scenarios impact watershed ecosystem services?